It's been quite busy on my end, so sorry for not posting so soon. Just been trying to tidy up my bedroom/space. I've been trying to downsize and getting rid of stuff I haven't use in a while, I'm happy with my paper stash. I happy to get rid of the paper mess that's been sitting on my shelf for quite some time. I'm not quite down around here, I still have my clothes to donate, or put away in storage until summer again. So yes, that's what's been going on recently. Also I have some stuff to show you what I've done last month. Because I promised I would the last time. 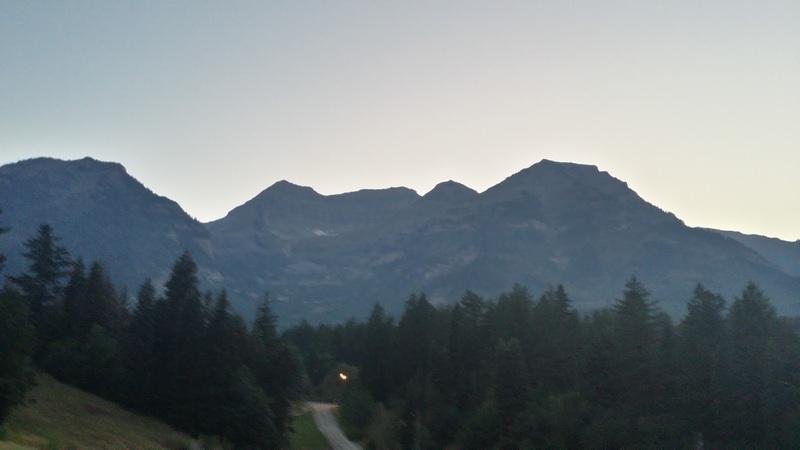 My sister and I went to Sundance in the Provo Canyon. You know the place that infamous actor lives and I think owns, Robert Redford. We have a friend that we work with her daughter works at the resort. My friend's daughter gave us free tickets to the ride the ski lifts. 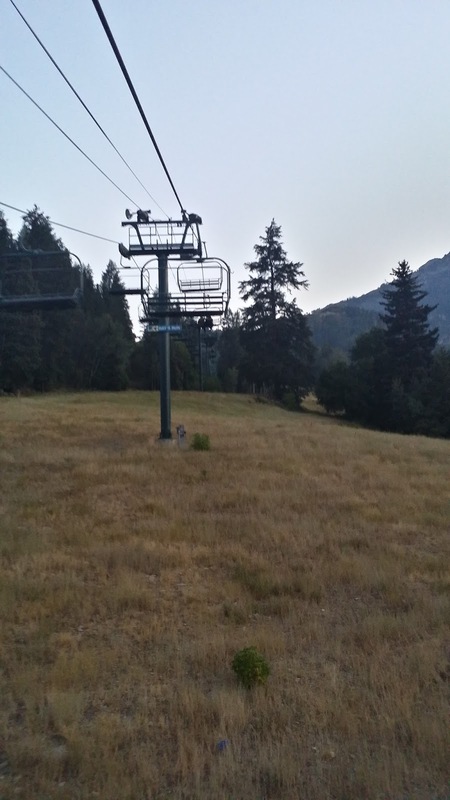 During the summer time at Sundance, they have night ski lifts rides. We kind a of went little early at dusk, because we have heard it does get very busy with "date night," that night we went there was also a wedding going on, so it was a busy night. I didn't take A LOT of pictures because it was dark, and tons of people. I didn't think of taking pictures of the tickets because I thought we could keep it. 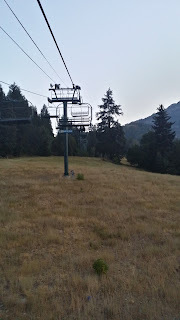 I've never been on the ski lifts, just never been. But oh my gosh the experience was pretty cool. You couldn't hear anything except the crickets and see deer down below. Once in while you could hear people on the lifts. OH my Gosh!! it was so quiet, it reminded me of home in Arizona. What I didn't like was when the lifts stop in mid-air and the chair would swing a bit. It was a nice lift ride, see the the outline of the mountain against the sky. We did get to see Robert Redford's house, It was HUGE! Coming back around it was getting dark, could see that more people have got on the lifts. It was fun, enjoying the view, the quiet time and listening to the crickets. I would do it again before the autumn breeze takes over us. I hope you enjoy reading my post although it may be random sometimes. I hope you enjoy Your SundayFunday!